Hybrids are the result of combining strains, creating a whole new generation of cannabis varieties that have unique characteristics. For many users, both recreational and medical patients, hybrid cannabis strains represent the best of both worlds. Hybrids are extremely versatile and useful thanks to the sheer variety of effects available. As an example, a patient who needs to medicate for arthritis pain can make use of a hybrid so that they can benefit from the pain-relieving properties of an indica strain without getting too drowsy. White Widow is an award-winning hybrid that many speculate has been around since the 80’s. This strain is made from crossing an unknown South India indica and a Brazilian sativa, with phenotypes that are both sativa-dominant and indica-dominant. For many, White Widow is a truly iconic strain loved for its euphoric high and medicinal properties. Strawberry Cough is a sativa-dominant hybrid, the love child of a Strawberry Field strain and an Original Haze strain. Strawberry Cough is highly coveted even among connoisseurs who love this strain for its delicious berry flavor and impressive THC content. This strain is also valued for the smooth smoke, happy, and relaxed high. Skunk No. 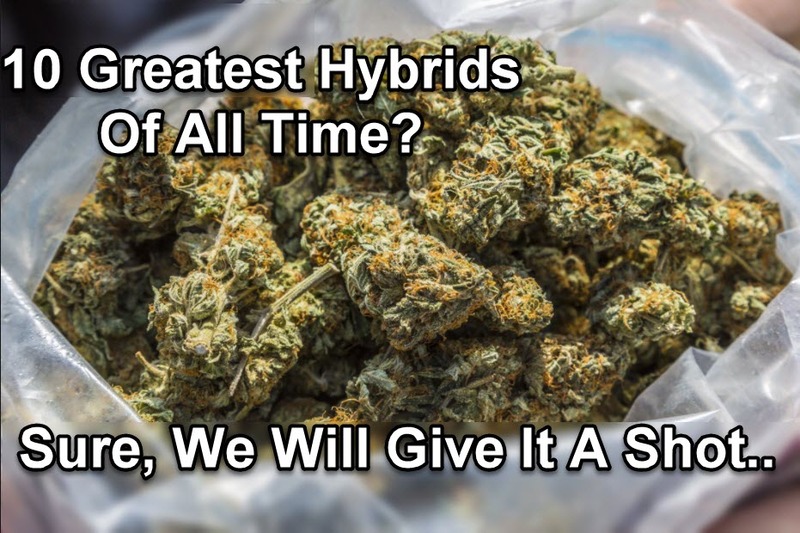 1 is one of the earliest and most famous hybrids around, having been bred by the Sacred Seed Co. back in the 70’s. Skunk No. 1 was created by combining three landrace strains: Colombian, Mexican, and Afghani. This strain is well-loved by recreational and medicinal users alike for its balanced high, as well as its ability to grow heavy yields both indoors and out. Bruce Banner, a hybrid named after the Marvel superhero the Incredible Hulk, is another highly coveted strain. Bred by Delta 9 Labs, Bruce Banner is a strain widely used by creative because of its ability to boost your artistic energy while giving a euphoric and happy high. Bruce Banner has several phenotypes; most of which are indica- dominant although the primary phenotype is sativa-dominant. God’s Gift is a hybrid made from one of the most legendary strains around, the OG Kush, combined with Grand Daddy Purple. God’s Gift may be renowned for her genetics, but there’s no doubting that this strain is extremely special. The strain has a high THC content ranging from 18-22%, ideal for experienced cannabis users. Users love God’s Gift because it gives off a relaxing and positive high that lasts for hours. Girl Scout Cookies has long been recognized as one of the best cannabis strains in the world, period. This hybrid is an enjoyable strain suitable for smokers both beginner and veteran. The high level of euphoria brought about by Girl Scout Cookies makes it a popular choice among those with depression, pain, and stress, but it also helps with insomnia without being too overpowering. Dutch Treat is a common name in Amsterdam’s coffee shops, and for good reason. While the genetics of Dutch Treat remains to be a mystery, it’s assumed that it comes from an indica-dominant hybrid and a 20:80 sativa/indica ratio. Dutch Treat has high THC levels sometimes going up as much as 25%. Users love Dutch Treat for its delicious flavor and the strong cerebral high. Pineapple Express is such a famous hybrid that it even got a movie named after it. This strain is the result of breeding between a Hawaiian Sativa and Trainwreck. Pineapple Express has a distinct fruity, tropical aroma and delivers an uplifting, energetic experience. This strain is a popular choice for users looking for a fun and positive high. Lemon Kush combines the citrusy flavor of Lemon Joy with the sweetness of Master Kush, making it a truly high-quality hybrid. Lemon Kush is famed for its happy high, making this strain a superior choice for those dealing with depression and stress. Lemon Kush is also used for the treatment of nausea, pain, and stress. Fruity Pebbles is a hybrid that will immediately transport you to a happy time. The result of Tahoe Alien, Granddaddy Purple, and Green Ribbn, Fruity Pebbles is an indica-driven hybrid that’s smooth to smoke and has a delicious tropical flavor. A top choice for those suffering from depression and stress, Fruity Pebbles is an excellent daytime medication but can also be used for treating insomnia. This is a real one-of-a-kind strain, and certainly considered to be cream of the crop hybrid.